I loved your recent email on Amazon beauty finds! I hate to be greedy, but do you have any more top picks for hair, makeup, and more? 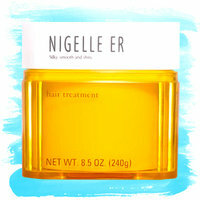 This is, hands down, the most FANTASTIC hair treatment ever. It hydrates and rejuvenates your hair, adding back the moisture that hot styling tools can zap. Use this conditioner a few times a week, and your hair will be silky smooth from roots to ends! 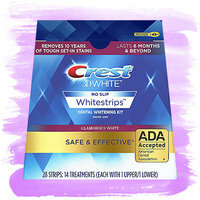 I’m pretty blown away by how well these DIY teeth-whitening strips deliver pro-level results. You get several months’ worth of treatments for a fraction of the cost of a single professional procedure. They’re gentle on enamel and mold to your teeth for easy removal. (My favorite's the Glamorous White.) HG tip: Do 30 minutes of Housewalking while the strips work their magic! Okay, this isn’t an Amazon find, but I can’t talk about beauty products without mentioning Mary Kay. This is my FAVORITE lip gloss because of the rich color and hydrating moisture. It kind of makes me wish my name were Nancy. (Nothing really rhymes with Lisa!) It’s a little sparkly but not in an in-your-face way, and it’s not overly sticky like some glosses. If Fancy Nancy isn’t your color, check out the whole line. Pucker up! The exact toothbrush I use is a splurge (it’s the BEST electric toothbrush I’ve ever used), so I wanted to recommend THIS super-similar option by the same brand. It has a pressure sensor, three intensity levels, a helpful timer, and a handy travel case. 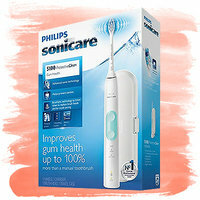 They say this model improves gum health up to 100% more than a manual toothbrush! Trust me: Once you go electric, you’ll never go back. This final find is a total BARGAIN! 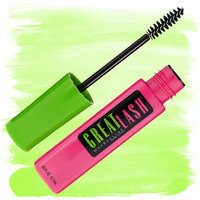 Sure, there are fancier mascaras out there, but Great Lash will always be my go-to. The color, the brush, the lack of clumps… I’m a forever fan. And now I can send it right to my door. I like that I can choose the color and brush type without weeding through the racks at CVS. My ideal combo is Brownish Black with the straight brush! Pamper yourself! FYI: We may receive compensation from some of these links. Prices and availability accurate at time of publication and subject to change. Friends that shop together, stay together. Click “Send to a Friend” to share these finds!